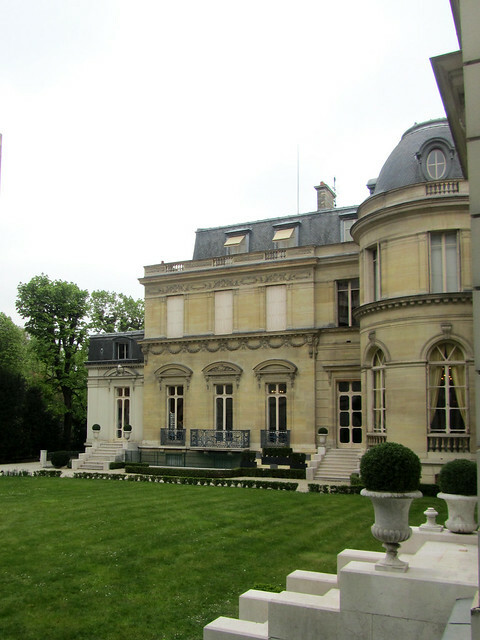 Originally a hunting lodge, Musée Marmottan today bears the marks of elegance without the burden of gold-gilded panellings and dark, heavy interiors often seen in mansions of the past. Instead, much natural light penetrates through most of the rooms thanks to the presence of large glass windows, and the rooms airy, no doubt contributed by clutter-free layout and high ceilings. I’ve been told I should return in the summer, when the garden will be in full bloom and its beauty emphasised in full force. The initial collection (now part of the permanent collection) of the museum consists of pieces from the First Empire (i.e. the Napoleonic Empire) including paintings, bronzes (I was admiring the bronze candle holders of Egyptian-inspired iconography) and furnitures (there was a bed which would be too short for me even). There is also a series of vertically long paintings of Napoleon in various parks and gardens, placed along an L-shaped corridor, which I’ve taken a liking to. 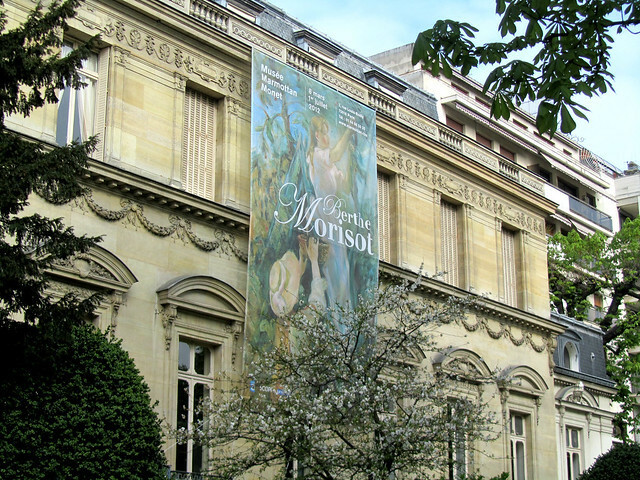 The museum also houses some distinguished Impressionist paintings, including Monet’s “Impression, soleil levant” which gave rise to the name of the movement. More significantly, towards the central wing on the main floor is a large collection of Monet’s work, mostly of waterlilies and rose hedges. You really haven’t seen Monet’s waterlilies properly until you’ve seen the dozens that are on exhibit here. This collection is highly personal and was donated by Monet’s son, and a family friend. Earlier this year, the museum played host to an exhibition of which Henri-Edmond Cross was headlining, but also featured other related artists including Seurat, Matisse, Signac and van Rysselberghe. It was a peek into the world of Neo-Impressionism, the period in which many masterpieces were created (painstakingly in detail) in the style of pointilism which I absolutely adore. Each spot of the canvas is a spot of single colour, interacting with another. With a few steps back, the full image is revealed to be bathed in tones and hues that are both vivid and divided, yet harmonious despite the meticulous precision of every spot of colour. There is method among these chaos, and they simply take my breathe away. Among my favourites at this exhibition were Lac du Bois de Boulogne and San Giorgio Maggiore, both by Cross; Port-en-Bessin by Seurat; L’Escaut en amont d’Anvers by van Rysselberghe; Le Pont de Waterloo by Derain; and Camaret, Clair de Lune by Luce. They are truly stunning works of art, and how I wish I could own one of these. Just one (as if I could afford it, hah!). The museum typically host 3-4 temporary exhibitions per annum, with announcement for upcoming exhibition made about 3 months in advance. In these next couple of months, it is hosting the first retrospective of the works of Berthe Morisot. One of the three main female artists of the movement in her time, Morisot was also a friend and later, sister-in-law to another Impressionist great – Édouard Manet. Unlike her contemporaries whom often focused on street scenes and urban living, many of Morisot’s paintings revolved around daily family life. One of my favourites of her works is that of her husband, Eugene, and their daughter, Julie, in the park of Bougival. She also painted many portraits, with Julie regularly sitting for her, as a little girl through to adulthood. 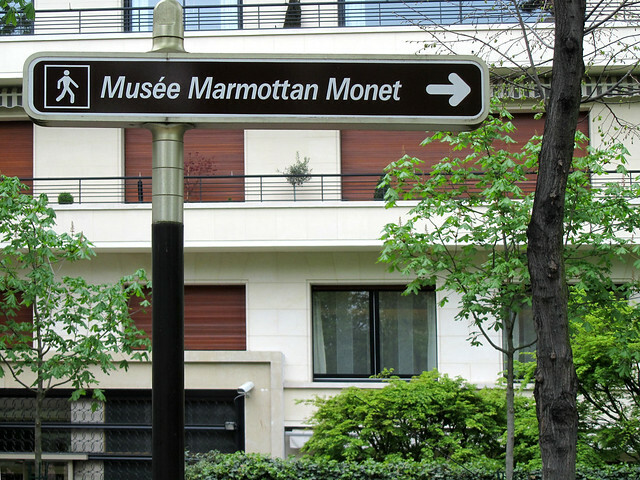 Musée Marmottan Monet opens daily except Monday, from 10am to 6pm (Thursday late opening till 8pm). Standard admittance ticket costs €10 and it’s another €3 for the audioguide. Strictly no photography allowed.